Several types of low frequency calls made by African elephants, Loxodonta africana, and the contexts in which they occurred are described. These calls had fundamental frequencies ranging from 14–35 Hz and sound pressure levels as high as 103±3dB (re 20 μPa) at 5 m from the source. Very low frequency sounds are subject to very little environmental attenuation, suggesting that sounds at the frequencies and sound pressure levels measured from elephants may be audible to conspecifics several km away. 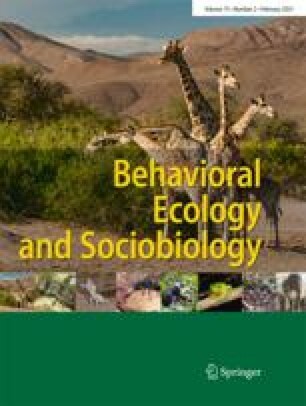 Long-term records on the behavior of elephants and on the contexts of specific call types suggest that elephants make use of infrasound in the spatial coordination of groups and as they search for mates.